Here’s How You Can Win a Brand New Lexus NX this DSS! Want to know how you can win AED 1,000 worth of vouchers and a 2018 Lexus NX? 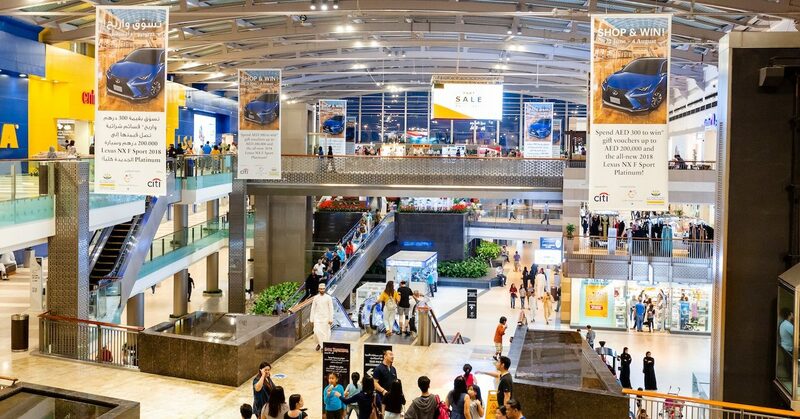 Dubai Festival City Mall is the place to be this summer for massive prizes, an action-packed schedule of family-friendly activities and events lined up until August 4. With incredible competitions, an entire LEGO NINJAGO Movie zone and a free live concert by Hala Turk, this year’s Dubai Summer Surprises at Dubai Festival City Mall is going to be big. Shop, Spend & WIN a Lexus! LEGO lovers, grab the kids this DSS and head down to Dubai Festival City Mall to experience Dubai’s first ever LEGO NINJAGO Movie zone. Themed around the family-favourite blockbuster LEGO NINJAGO, expect to find everything from interactive workshops to exciting photo opportunities with the modern-day ninjas themselves – Lloyd and Master Wu. What’s more, this LEGO world is also offering a number of awesome activities for kids to participate in… Fly through the trees at the City Jungle Wire Parkour station, create your own mosaic in the Jungle Mosaic, and build a LEGO Ninjago creation in the Freebuilding Zone. Smaller kids can also join in on the fun in LEGOLAND, where a small DUPLO playing zone will be accessible on the back wall. Ending this year’s Dubai Summer Surprises with an epic bang, Dubai Festival City Mall is bringing the famous 16-year-old Bahraini singer, Hala Turk, to perform live on stage. The best part? The concert is totally free to watch! This is a summer schedule the whole family can enjoy! We recently went down to Dubai Festival City Mall to check out all the awesome DSS 2018 celebrations on offer; watch the full insydo video here. For more information about Dubai Summer Surprises at Dubai Festival City Mall, visit the mall’s website or call 800 332.
previous7 Beauty Brands You Didn’t Know Had Travel Size Options!